It’s probably not hard to come up with these on your own (especially if you have a baby or two…or four) but it’s the giving season, so we’re doing it for you. #1. They won’t be able to unwrap gifts. I’ll give you this one. My 10+ month old isn’t the most coordinated with his hands at this point. But he has fun trying! #2. There’s nothing that baby needs. Presuming that you’ve provided a roof, clothing, food, books, and toys up until this point – what could possibly be on his or her list? #3. They’ll like the wrapping paper more than the present. Which isn’t a problem, per say…unless your kid is like mine and would rather eat paper products than table food. #4. They won’t know the difference. They also don’t know whether you watch over them at night and they won’t remember that first trip to the zoo or meeting their elderly relatives, but you do those things, too. #5. They’re going to make a mess with them. They’re going to leave their toys lying around…like all of the ones they already own. This isn’t actually a good reason. If you decide to be sensible and frugal and all of that, then screw anyone who tries to make you feel bad about it. For real. 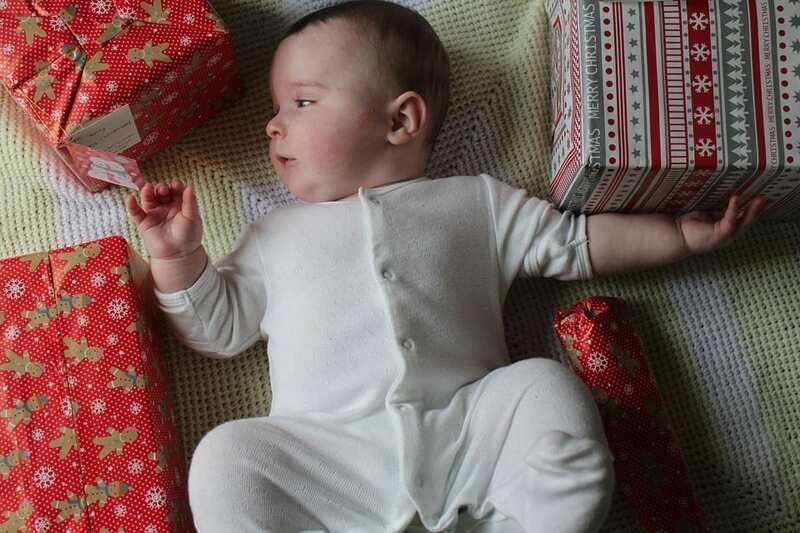 You love them, and in a few years, baby will love looking at the pictures of his or her first Christmas. Better snap some good ones! #3. You can give yourself a present disguised as a baby present. #4. Giving is good for the soul. Sure, you’ve given your baby so much already – but doesn’t it still feel amazing? Now that you have all of the information, go forth and decide – presents or no? Me? I’ll go quietly wrap the three I’ve already bought. Heh.